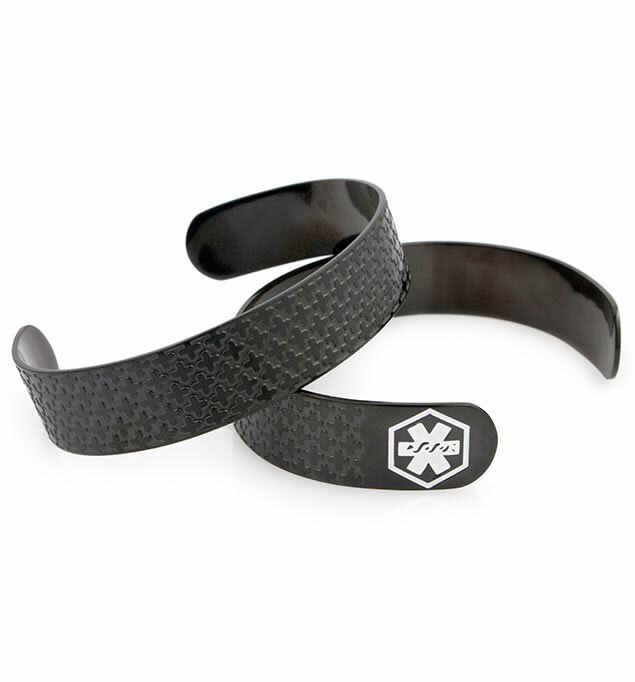 With a textured pattern and black plating over stainless steel, the Driven medical ID cuff is a stylish option designed to keep you on trend and safe. Each end of the Driven cuff bears a contrasting white medical caduceus symbol to alert medical professionals to your personal information. Cuffs are a great option for those with dexterity issues, those prone to swelling in the extremities, and those on a weight loss journey.